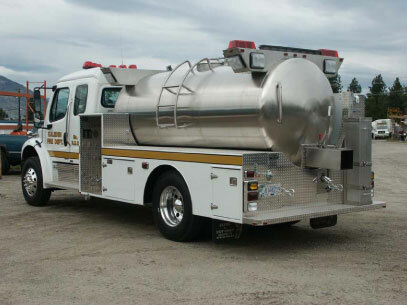 Brutus designs and builds high quality fire and rescue bodies for any pick-up or chassis. Brutus Fire bodies can be made of steel or aluminum in any style and configuration with your choice of Amdoor roll up or Brutus door systems. If water is to be carried you have a choice of steel, aluminum or poly tank systems with almost any size pump and reel combination. Brutus installs industry leading Whelen emergency lighting on each fire and rescue body.